And now, an RV Technical Moment . . . 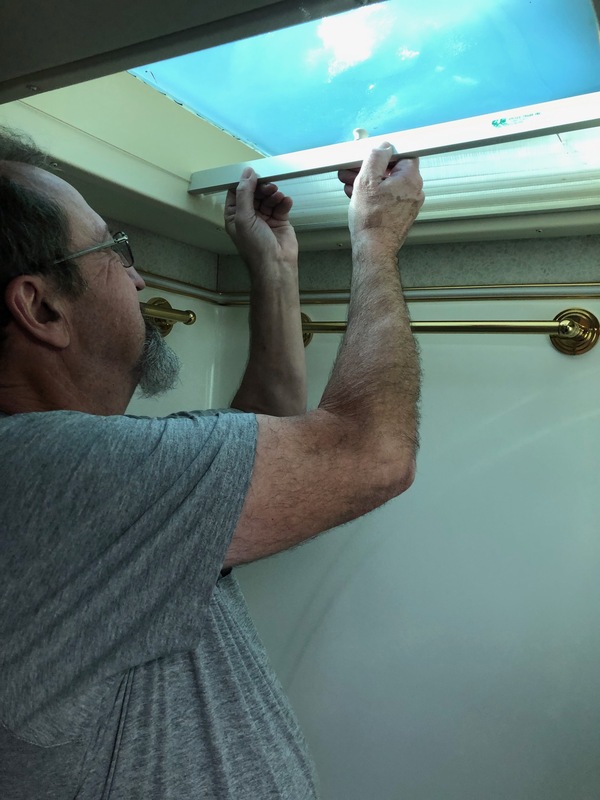 The shade in our RV skylight broke last summer. We took it down and told ourselves we’d repair it next week. 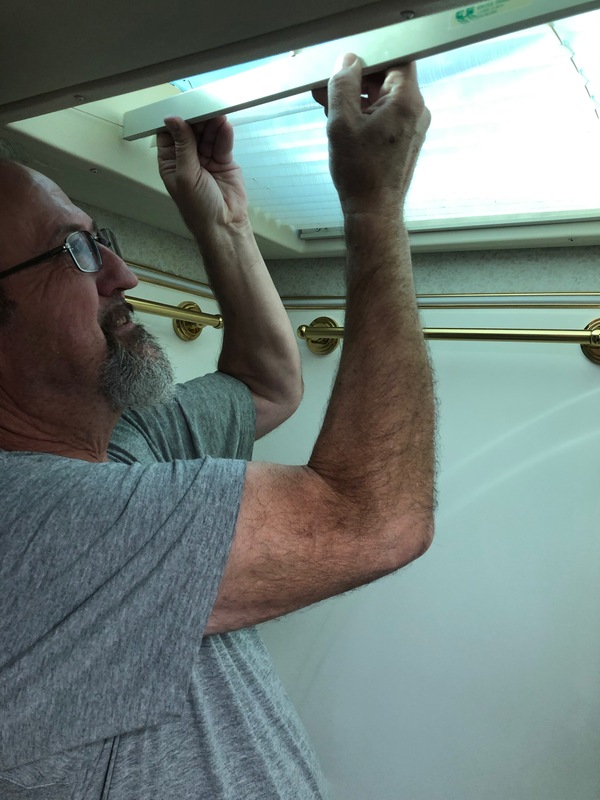 Many many weeks later we bit the bullet and restrung our RV skylight shade. 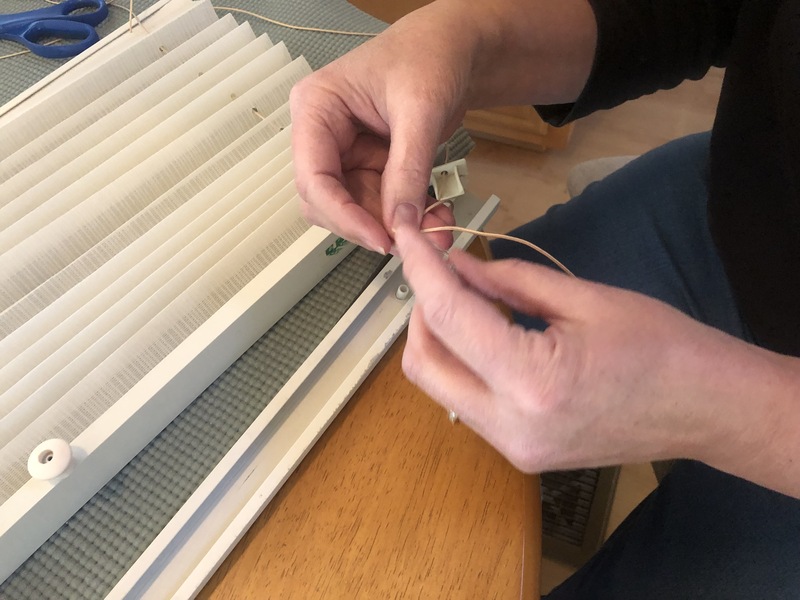 Bought new shade string on Amazon, but, unfortunately, removed the old string from the shade before taking a picture of how to run the string through the shade. Big mistake. 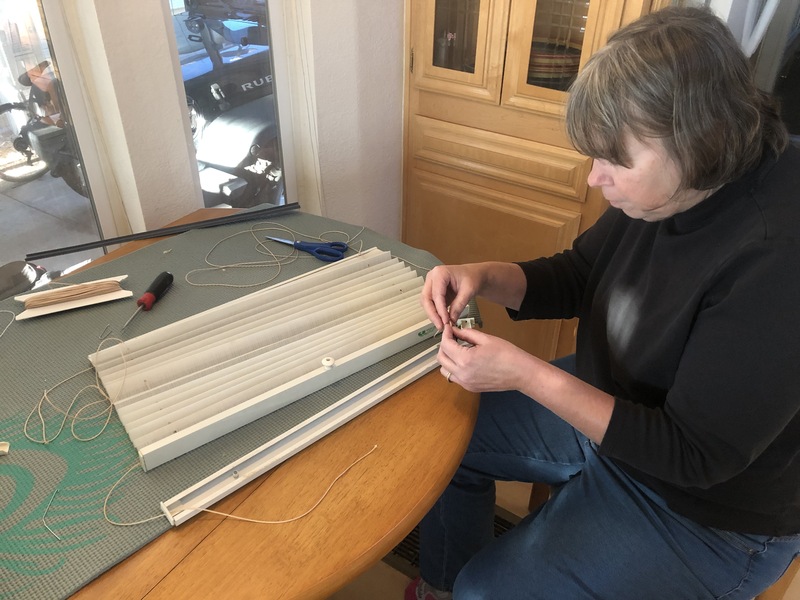 After trying to restring the shade for about 5 minutes, my patience expired. Luckily, Jan was up for the challenge and figured it out pretty quickly. 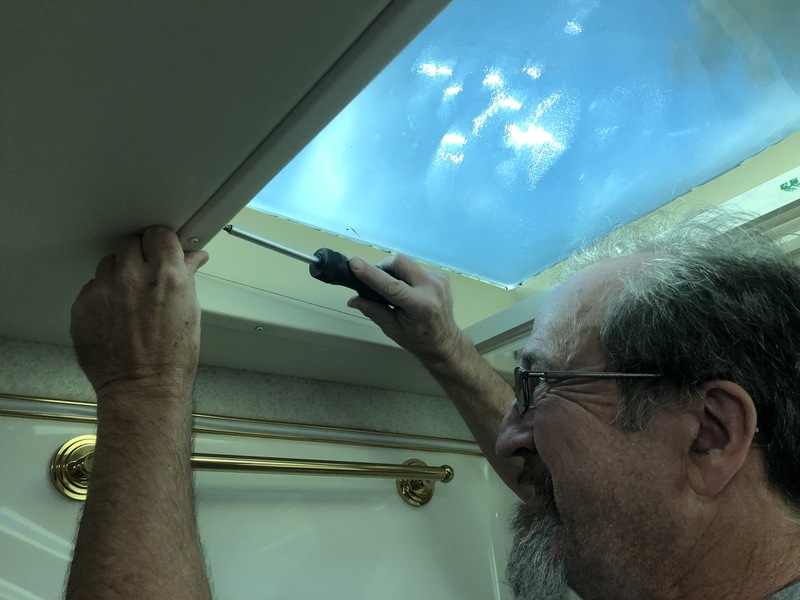 I did the RV installation. A RANDOM MOMENT . . .
I’ve walk Flirt passed this dummy several times, but her reaction never changes . . .